I've been thinking (always a dangerous thing;)) lately about how most of us are guilty of wanting to put God in a box. I guess it has been a few things that have happened lately where it seems like people want to limit God (and drawing closer to one another, but I digress) to fit in their schedule and fit in their tidy little box, so that it doesn't inconvenience them. It kind of bothers me, even though it really isn't that big of deal. It's made me think about the ways that I put God in a man made box. How my trying to stuff Him into a mold I think He needs to fit in really hurts me. How it effects the way I minister to those around me when I limit the Lord. He isn't a tame lion, but He is good. So, here's a challenge to opening your heart up to discovering who He really is and following where He leads. It's one I'm taking too. Following an unplanned pregnancy, Danielle Kent finds herself abandoned by the father of the child and left to figure things out for herself. Committed to keeping the baby and being a better mother than the abusive one she had, Danielle finds herself down an unfamiliar path. When another man feel led to marry her and be a father to her unborn child, the two embark on a beautiful journey to discover how God can turn hard situations around and use them to show His love. I haven't read any Amish fiction for a long time, but had to try this one out, since I have read some of Beth Wiseman's other novels and loved them. I'm glad I picked this one up! Her characters are real and make mistakes, but she uses those stories to tell of the Savior's love for everyone. I think we all need to be reminded of that love and how God is in control and that His love really does endure forever. 1. The United Kingdom. I've wanted to go there since I was a young teen and my Papa told me he would take me, since he couldn't drive in Ireland (I guess they don't allow people over 70 to drive there?). Now that I am older, I don't think I want to drive in parts of Ireland, since Dublin is suppose to be one of the worst cities to get around in. 2. New Zealand, since it looks so gorgeous and untouched. 4. Prince Edwards Island. Too much Anne of Green Gables, I know. lol. There is an evil in East Salem that has been brewing for hundreds of years. No longer content to hide below ground, away from prying eyes, it has started to leak out into the quiet community and wreck havoc. Danielle Harris and Tommy Gunderson seek to uncover more regarding some mysterious deaths in the area. Drawn in to the spiritual warfare seemingly by accident, they find there is a much bigger role they must play, if they can only heed the angel's warning about someone close will betray them. Even though I didn't realize this book was the second in the East Salem Trilogy, I found the story very interesting and easy to keep up with. It would of helped to have read the first one Waking Hours, but I didn't feel like it hampered me incredibly to just jump in to the series. While the series is a bit dark, that it somewhat expected, since it deals with spiritual warfare and demons. I thought it was a bit creepy, but by no means over the top or over done. I highly recommend this book and look forward to the conclusion! Kristen Conner is back! After recovering from her encounter with the Cutter Shark who terrorized the people of Chicago, Kristen is immediantly put on the case to find the murderer who brutally killed one of the cities wealthiest men. Thrown into a world totally different from her own, Kristen must navigate through on line dating sites and fancy dates to uncover the truth. 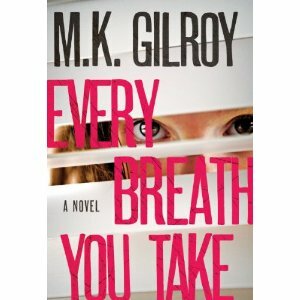 Over all, I thought Every Breath You Take was an excellent follow up to Cuts Like a Knife. A lot of the same characters come back into this book, while there are plenty of new people to get to know. I have to say, though, that it is a bit of a over kill for it to be stated in the first book that Kristen rarely receives male attention, and then practically every man she meets has a thing for her. The good vastly outweighs the impractical though. I love that the mystery is lightened up by humor and that there are on going mysteries and story lines. Eveyr Breath You Take is another winner! 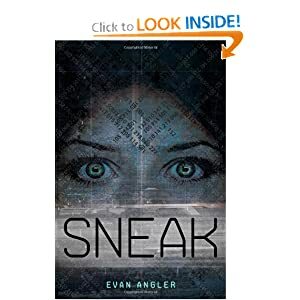 The second book in the Swipe series finds Logan Langly on the run after becoming a flunkee in the mark system. With a tip on the whereabouts of his sister, Logan sets out on a journey to see if he can't save her from a special prison for the markless. Joining forces with the very people he thought were the enemy, Logan embarks on a wild journey with both old and new friends, experiencing things he never thought possible. While I liked the first book in this series, I thought that the sequel is 100 times better! The characters and plot is more developed in this one. Not to mention, it has several unique twists that will keep you on the edge of your seat! This series is the best of dystopian fiction! A unique look at how the events in Revelations could pan out. When Frank Wright's health problems catch up with him during the holiday season, leaving him unable to accompany his wife on a trip to the Holy Lands. In her place, they ask Amanda Vance, a young woman still reeling from the tragic events of the former Christmas. Little do the two families know how much the trip will impact them and leave their lives forever changed. I loved that part of this book is set in the Holy Lands, and that the place comes alive in this novel. The characters are interesting and have depth to them, while the story line is interesting. Davis Bunn is one of my favorite authors, since he never fails to write an engaging story. Prayers of a Stranger is a winner! A young woman who has the gift of healing makes the decision to not listen to her conscience, which results in tearing her world apart. An older gentleman dealing with the question of God. Two seemingly unrelated stories that will intersect through a series of tragedies. How can God work so many terrible events into something that will display His glory? A beautiful story of miracles and the power of God. This is the first book I have read by Erin Healy, so I was pleasantly surprised to find that her stories are not the norm. They don't follow how we want life to be, but rather how it is. The beauty that comes with the unpredictable. I look forward to reading more by this author! 3. To live on a farm someday, one that has a massive orchard! 4. To see New Zealand. 6. To learn a second language well. It rained this weekend. Which, we were in a drought, so the rain was a blessing. It brought to light just how much I think the world revolves around me though. This is always the biggest weekend at market, so I was a tad bit sad that it rained and kept the crowds away. Don't get me wrong: I know we needed the rain, and I was thankful for it, but part of me was discouraged it finally came on Saturday. Isn't that how we can be though? We get to thinking that something isn't an answer to our prayers because it didn't turn out the way we thought it would. How could a house be the place we are suppose to be when there is so much work to be done? Or where is the blessing in car trouble? And yet, we don't see how God is working behind the scenes. That the "terrible" house is paid off in no time and winds up being a great project for a couple to work on together. Or, that the car problems kept one from getting in an accident. Next time you pray, think about adding "Thy will be done", since He really does have the best interest of everyone at heart.